Dumbbells can provide you with a deceptively simple yet powerfully effective workout for your arms and upper body. Many people are surprised at how many muscle groups and sections of the body that they can tone and get buffed with a quality set of dumbbells. And the dumbbells you’ll find here certainly aren’t the same kind of dumbbells that your father or grandfather used. Switchable amounts of weight and lightning quick weight changes are the order of the day with these high-tech dumbbell sets! 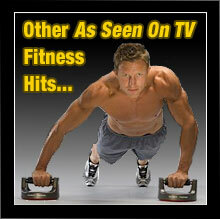 A high-tech and versatile dumbbell set like you’ll find here at TV Gyms will get you started on the road to fitness. 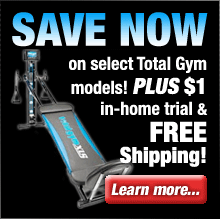 They’re a great way to start a life of better health and enhanced physique. Take a look at yourself in the mirror and then imagine yourself with a defined upper body and ripped triceps and biceps. That’s what you’re going to get with a set of dumbbells like we’ve got here. Check out the selection of dumbbells that we offer and find a set that’s perfect for your needs. We offer dumbbells and other fitness solutions from only the leading manufacturers in the fitness industry so you can be assured that every item you’ll find here is of the highest quality. Bowflex SelectTech 552 Dumbbells replace a full 15 sets of weights offering you a high-tech fitness solution that not only saves space but also increases the efficiency of your workout routine. These dumbbells are perfect for fitness enthusiasts who want the variety of a professional fitness club in the comfort of their own home. SelectTechs cost half the price of traditional dumbbells and take up less than 1/8 of the space – some users go so far as to display these models in their own living room. But these dumbbells are more than a conversation piece. With the Bowflex SelectTech 552 dumbbell set you have everything you need to get toned and burn fat quickly. Bowflex SelectTech 1090 Dumbbells replace a full 17 sets of weights offering you a high-tech fitness solution that not only saves space but also increases the efficiency of your workout routine. This innovative dumbbell set features an ingenious design that allows you to change the resistance from 10 lbs all the way up to 90 lbs of weight with just the turn of a dial! With the Bowflex SelectTech 1090 dumbbell set you have everything you need to burn fat and get into better overall shape quickly. The SelectTech 1090’s broad selection of weights lets you perform all of the exercises that you could do in a gym – including curls, raises, shrugs and lunges.